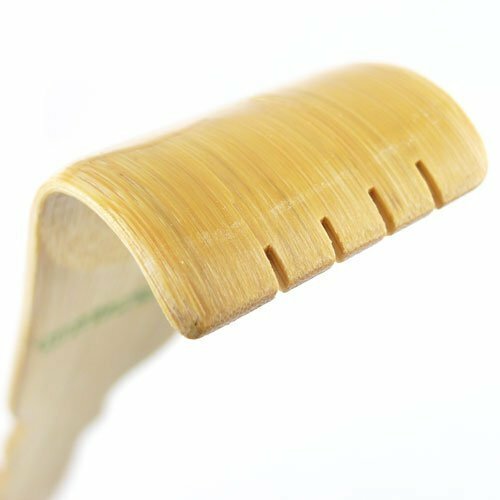 This Bamboo back scratchers are cut from mature bamboo, and are very strong and sturdy. The handle is a comfortable hand filling 1 1/2" wide, not a skinny stick like you'll find on other back scratchers. The handles are stiff, so the back scratcher won't bend away from your back when you're trying to scratch hard. Each is hand made, no two are identical. Bamboo is a fantastic material. Not only is it strong and durable, but since it is technically a type of grass, it is also very easy to grow and harvest in an environmentally responsible manner. Relief is within your reach! If you have any questions about this product by JapanBargain, contact us by completing and submitting the form below. If you are looking for a specif part number, please include it with your message.